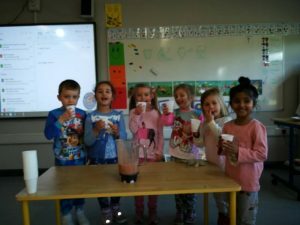 A busy new term for Junior Infants – Midleton Educate Together N.S. 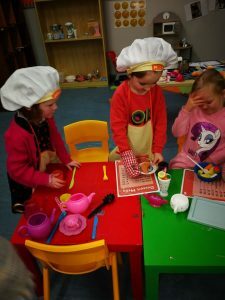 2019 has introduced the new Aistear theme of “The Bakery/Café”. 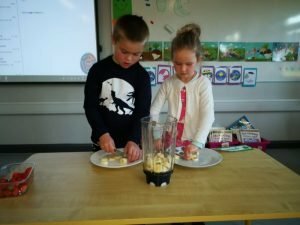 The children have explored the different aspects of the bakery and café through enquiry based and play based learning. 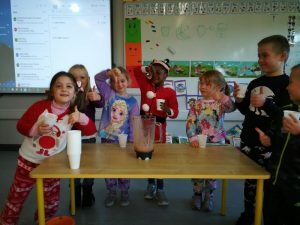 They have made smoothies and hot chocolate following their own recipes, aswell as creating lots of delicious sand and play doh creations!!! 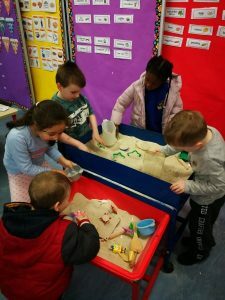 February brings lots to look forward to with “Animals” as our new Aistear theme and perhaps a check up at the Teddy Bear’s Hospital for all the children’s teddies in Joann’s Class.